If you have experienced any feelings of fullness, blocked ears, minor hearing loss, or symptoms like dizziness or a painful ear, it may be a symptom of an earwax blockage or impaction. If that’s the case, an ear cleaning from your audiologist is both the safest and most effective way of treating it. But how exactly does an audiologist clean your ears? We’re going to look at the process in more depth, so you know what to expect. After you’ve filled in the paperwork and you’re in the audiologist’s office, they will first perform a visual examination of the ear. They will look at the outer ear as well as looking inside with a device called an otoscope that rests just at the entrance of the ear. Once they have identified the blockage, they may use some ear drops to soften up the blockage. From there, they will determine the best treatment depending on how severe the blockage is. This method is mostly used for more moderate blockages, making it one of the most common means of tackling a blockage. Manual tools, which may resemble very long, narrow spoons, are used to slowly and carefully reach inside the ear and scoop out the wax causing the blockage until it’s completely removed. The audiologist will likely use lights and magnifying tools to ensure the inside of the ear is completely visible and will ensure that the ear is cleaning in the most cautious and comfortable way possible. The vacuuming method used by the audiologist is nowhere near as powerful as the vacuum you might be imagining, so there’s no cause for concern. Suctioning devices, which may look like long, thin tubes, are inserted into the ear once the wax has been softened by ear drops. 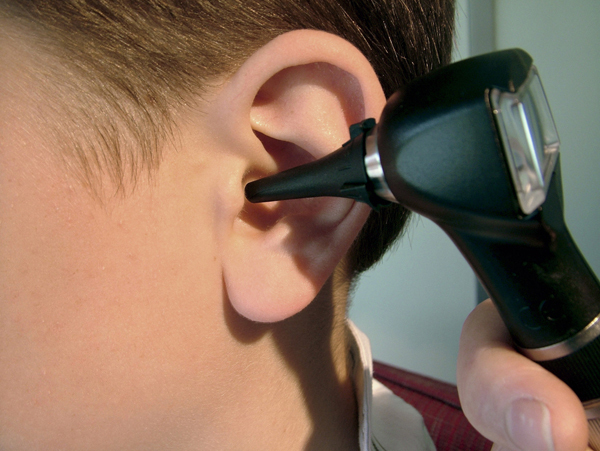 Much like with a manual cleaning, the audiologist will ensure that the ear canal is as visible as possible, and some suction devices even have a camera on them so they get an interior view. This method is best used for mild to severe blockages and for those who have recently had surgery on their ears, as it is the safest method possible. If you have looked at home methods to treat earwax, you may be familiar with irrigation as kits that do the same thing are widely available in pharmacies and other stores. However, an audiologist has much more experience with them than the average person. Irrigation kits use pressurized water, and sometimes some ear drop oil, to flush out the ears. This method is slightly uncomfortable, but it does also have the extra benefit of cleaning your ears of dust and bacteria that may potentially cause an infection. However, it’s usually only used for the most severe blockages. While it may feel a little odd, there should be no pain or major discomfort to fear during your ear cleaning appointment. Earwax build-ups can lead to infections, tinnitus, permanent hearing loss, vertigo, and other issues, so don’t hesitate to make an appointment if you think you might need one.